Adipose tissue is derived from the mesoderm during embryonic development and is present in every mammalian species, located throughout the body. Adipose tissue serves as an endocrine organ, functioning to maintain energy metabolism through the storage of lipids. While two types of adipose tissue exist (brown and white), white adipose yields the commonly studied adipose-derived stem cells (ASCs). Adipose-derived stem cells provide a promising future in the field of tissue engineering and regenerative medicine. 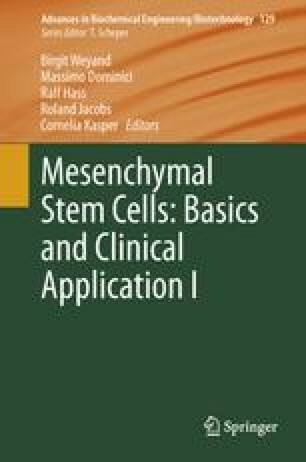 Due to their wide availability and ability to differentiate into other tissue types of the mesoderm—including bone, cartilage, muscle, and adipose—ASCs may serve a wide variety of applications. Adipose stem cells have been utilized in studies addressing osteoarthritis, diabetes mellitus, heart disease, and soft tissue regeneration and reconstruction after mastectomy and facial repair. Various delivery systems and scaffolds to incorporate adipose stem cells have also been established. Adipose stem cells have been studied in vitro and in vivo. Much information in vitro has been obtained on adipose stem cell potency and biology as a function of donor gender, body mass index, and anatomical location. Further in vitro studies have examined the various cell populations within the heterogeneous population within the stromal vascular fraction (SVF) from which ASCs are obtained. While many animal models are used to investigate adipose tissue, preclinical in vivo experiments are most widely conducted in the mouse model. Common analyses of animal studies utilizing ASCs include pre-labeling cells and immunostaining cells.